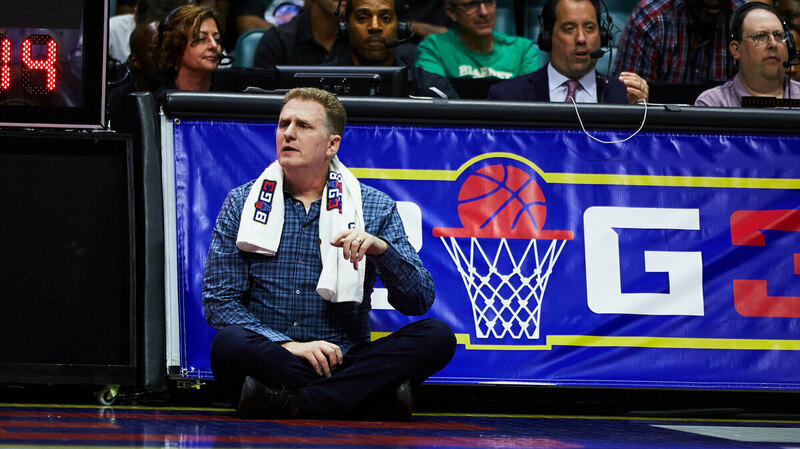 Actor Michael Rapaport On Sports Highs, Lows And LeBron Michael Rapaport set out to be a pro basketball player. Instead, he became an actor and rabid sports fan. "Sports is one of the only safe places where you can articulate your emotions," he tells NPR. Michael Rapaport watches the action during a BIG3 basketball game at the BOK Center in Tulsa, Okla., on July 9. When actor Michael Rapaport was growing up, he convinced himself he would end up playing professional basketball. There was a major pivotal moment: the legendary 1979 NCAA championship game that featured Magic Johnson and Larry Bird, who both eventually became NBA Hall of Famers. "That was like a game-changer for me," Rapaport told Morning Edition host David Greene. "I wanted to be like Larry Bird. I wanted to be like Magic Johnson. And I set a goal of being in the NBA, and I would live my life accordingly." He did live his life accordingly — including a rigid, self-imposed practice schedule. But Rapaport didn't make it as a basketball player. Instead, he continued to be a rabid sports fan as he created a career first as a stand-up comedian, then as an actor with more than 100 TV and film credits, including supporting roles in Friends, True Romance and Beautiful Girls. Rapaport still acts — currently on Showtime's White Famous -- but he has also become known for his podcast, YouTube videos and talk show appearances. Now he's also an author. 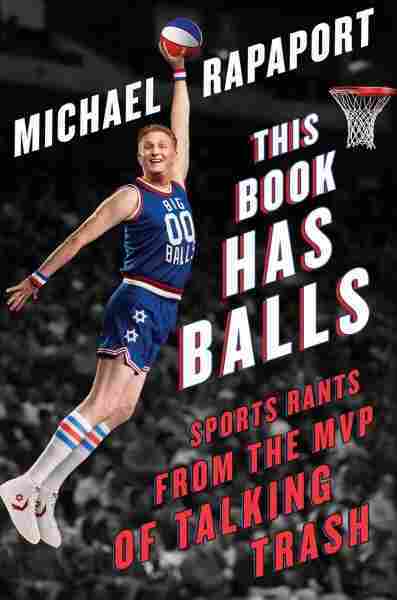 Rapaport's This Book Has Balls is a ranting celebration of sports from the self-proclaimed "MVP of talking trash." LeBron has done so much off the court. You know, from social issues, speaking out on race and politics — so I wanted to give him that respect and acknowledge him. 'Cause as much as I wanted to break his chops, I wanted to acknowledge that he's been a great star. And I'm sure he's inspired many, many other athletes and many other, sort of famous, people to continue speaking out when necessary and when they feel like it. Sports is one of the only safe places where you can articulate your emotions. That ABC Wide World of Sports motto: the thrill of victory and the agony of defeat. ... I definitely feel the thrill of victory, and I feel the agony of defeat. We get off on the loving; we get off on the hating. We get off on the frustrations, the highs and lows of it. And it's a great thing because we have so much going on with politics and problems in the world, and I think sports has been a safe haven. You know, I'll never forget when the Yankees were in the World Series after 9/11 that year, it was like that's where we went to let our guards down. And that's where we went to sort of forget about what was going on in the world. Before you get to the arena — before you get the gym — you're a person. And before you put on your Cleveland Cavaliers jersey as LeBron, he's a person. He's a father. He's a black man. And I'm glad that he speaks out. Because people are tired of being, you're going to cheer for me when I'm making plays but you're going to vilify me when I'm speaking out? No. You're going to love me. You're going to understand my experience. And I'm glad that these athletes are not just happy being pieces of meat, essentially.